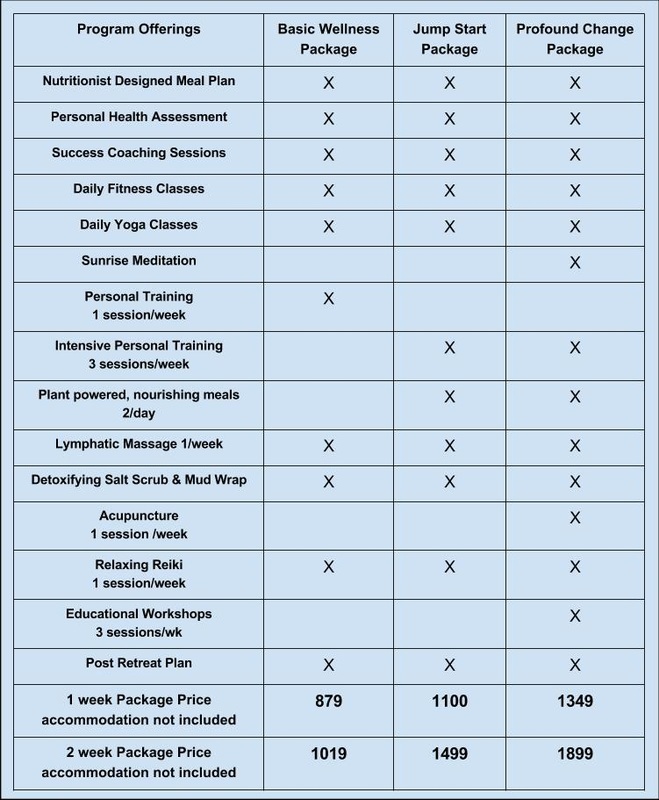 We have put together three package options to get your started on your wellness journey. 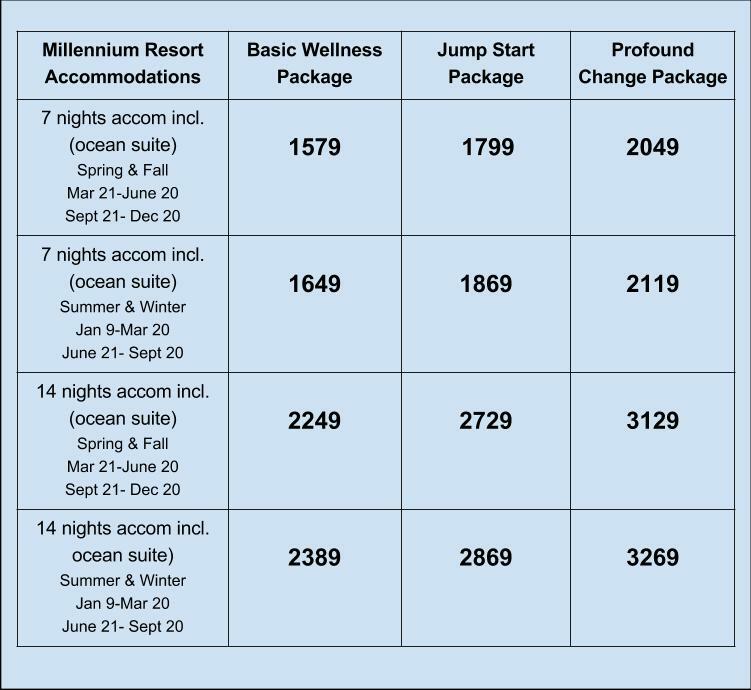 The Basic Wellness Package is a great option for those who are already fit and active and are looking to maintain their current lifestyle while on vacation. It is also an excellent choice for those who are looking to fill their vacation with lots of alternative activities and excursions away from the hotel, but are still looking for the benefits of a 'get fit' reset. The Jump Start Package offers you an intensive boost into an active yet restorative vacation. You will enjoy a personalized program to get you on track and the professional attention to keep you motivated, while also being pampered and revitalized by nourishing spa treatments. The Profound Change Package is our most luxurious and in depth program. If you are looking to create true lasting change in your life, discover a deeper sense of self love and really get in tune with your body and mind then this is the package for you. In addition to the care and attention of various nutrition, fitness and spa experts, you will also take part in personally chosen workshops and seminars to formulate real, practical solutions to the barriers which are keeping you from living your lightest, brightest life.